Japan has a population of 126 million people, making it the 3rd largest economy in the world. This alone makes it an exciting marketplace for online sellers. Add to this that over 91% of its residents have access to high-speed internet and a magnificent delivery network (Source), it all points to Japan as being a goldmine in the e-commerce world. But why would you try to sell in an unfamiliar territory? If thinking about testing the Japanese market a good place to start is with Amazon in Japan. Factors that may entice you would include, low Pay Per Click (PPC) costs and a guaranteed good value when it comes to exchange rates (especially after Brexit!). “Premier Value” of British Brands: In Japan, British brands are loved by the local population. Therefore, they are willing to pay for it, no matter the cost. Our analysis found British products sell extremely well and at a higher cost than they would in the UK. Most notably, brands like Paul Smith do brilliantly on the Japanese market and make fantastic sellers. Strong Exchange Rate: With the emergence of Brexit, the Pound (£) has plummetted significantly. Although some view it as a weakness, sellers that are well established in the e-Commerce market abroad may think otherwise. At the moment, as the Yen (¥) is very strong against the Pound (£), profit margins are likely to widen. Visibility is higher: Watch your view counts increase as you gain access to an untapped hidden market. Due to fewer and weaker competitors, niche products listed on Amazon Japan would increase the likelihood of it being seen. A well-optimized page is often all your product needs to get to the top of the listing – something the competitors lack. The more views garnered, the higher the chance of the product being sold! Enhanced listings: People are constantly underestimating the value of an enhanced listing on Amazon Japan. Don’t be one of them. Enhanced listings are open to any seller and you should recognize that they can really be a platform for showcasing your product, telling its story and getting it noticed. Honest reviews: In the UK, costly giveaways are often held in order to earn reviews and get to the top of the listing pages. However, due to the nature and culture of the Japanese, it is not needed in Japan. Reviews are most often honest and human. Therefore, you won’t have to fight past sellers who have only managed to make their way to the top of the lists on the back of paid, fake reviews. Asking for reviews is no problem at all. If you ensure your product is good then customers on Amazon Japan will be happy to give you a good review. So there you have it, a goldmine at your fingertips! 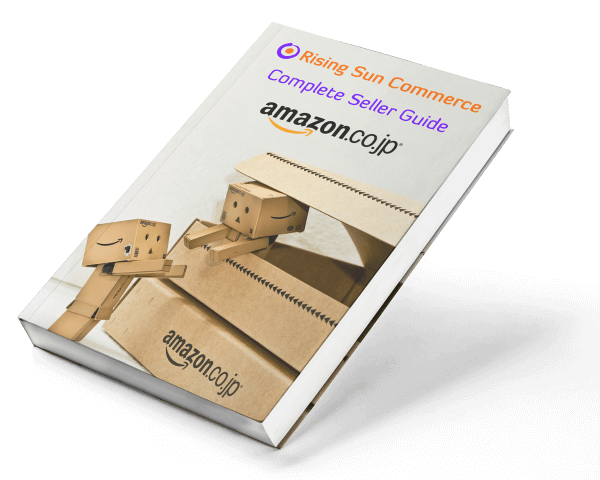 Rising Sun Commerce help brands get set up on Amazon Japan. Please get in touch and we see if your products can be set up in Japan.